What’s your salvage car value? Your scrap car’s value can be an enigma, One buyer is telling you one thing and another buyer is telling you something totally different. That’s because different buyers value different parts or metals that the car uses. We, however, will find the best value for your entire car. We have developed software that, once you input some information, will calculate the amount your car is worth. The use of this tool is absolutely free! 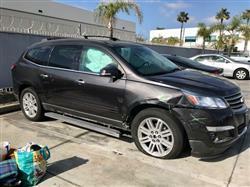 What is The Salvage Value of My Car? - CarBrain.com Can Help You! CarBrain is an online car removal service that was founded on the idea of making selling your junk car easier. Not only that but also finding the value of your car, hassle free and for free. As mentioned above, we have a car value calculator that will help you get a quote instantly. However, we also have many car evaluator experts with years of experience who can help find even more value in your vehicle. 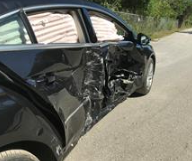 A salvage title car is just another way of saying a totaled or wrecked car. A nice guideline to remember, to get an idea of what a totaled car might be worth, is to just deduct 40-50% from the retail value. Another way to find out the value is to just use our car value calculator or speak to one of our car experts. Easy at that. Sell A Wrecked Car for Salvage - What is The Value of A Salvage Title? If you go to a dealership with a car that’s been in an accident, they will typically offer you about 12-32% less than what they would have offered for a no-accident car. Once an accident is on your vehicle’s history, the dealership or car buyer will offer less even if the car has no long term damage. It’s almost like a mind game. If you have a choice between two cars of the exact same make or model and the same condition but one has been in an accident, almost every time you will pick the non-accident car. Dealers and buyers know this so they will mark cars down with any accident or collision history. A salvage price for a vehicle is the estimated price a buyer will pay for a car at the end of its life. This estimate will vary slightly from buyer to buyer but usually, the salvage price is used as a way to calculate the depreciation of a car. If you want to find the best price for your salvaged car then CarBrain will find a buyer who values your car the most and we will cover any fees they have to pick up your car. There are junkyards that will pay to ‘scrap’ your car which just means they will pay you for the value of the weight of the metal. They will often take off all the extra parts on the car and compress the metal into blocks. I’m sure you’ve seen smashed cars somewhere, whether in person, on TV, or online. You can always call these yards directly, but this can be time-consuming and you might not get the best offer. Our car online removal service is a leader in taking care of a car you want to scrap for money. Once you find the salvage value of your car, you might not find a buyer will to pay you for it. There is a decent chance the buyer or dealer might try to underpay you for the true value of your wrecked car. Private buyers can be a valuable option, but depending on where you live, they can be as rare as a blue moon. If you want to sell your car for more than just your metal, well, I think you know where we are going with this. CarBrain is a nationwide leader in finding the best offer for your junk or wrecked car for what it’s worth. What's The Scrap Value of My Car? We would be ecstatic to give you a solid offer for your junked or salvage car. We buy metal on wheels as long as they are less-than-perfect. Repairing your vehicle after an untimely accident can be an expensive, stressful, long and complicated process. And, even after your car receives a solid job on the repair, it still will likely take a massive hit regarding value, to the tune of up to 32%. When it’s time to sell a car, up to 56% of people will not buy a previously damaged car. Selling your car to CarBrain may be a great option as opposed to repairing the vehicle. Submit your online request for an offer now. The process is as easy as unlocking your phone. Go to any page on our website and you’ll see a button that says "Get an Offer”. For many models of cars, you’ll receive a guaranteed instant online offer. Or, we might need a few more details about your car, and you will receive a call from one of our car buyers quickly after you submit the form. They will give you your offer over the phone and email it to you. What Is The Value Of A Salvage Title Car? CarBrain buys and picks up your damaged vehicle from pretty much everywhere in the continental United States. There is a high chance that encompasses your location. Click here to visit our “Areas Served” page to verify we service your ZIP Code. CarBrain analyzes many facets of your car before making an offer for your vehicle. For example, where the car is, the wholesale worth of your car before the accident, the amount of damage or mechanical and electrical problems, the current market demand for your vehicle and its parts, its make, model, mileage and how old it is all play a vital role of deciding the value. 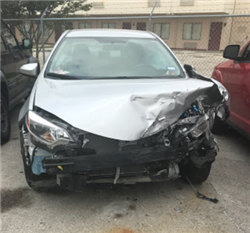 There are no “book” values for damaged or salvage cars, but at CarBrain, we have over 30 years of experience in buying less-than-perfect vehicles. Our goal is to provide a well-rounded offer to every customer. Sell Your Salvage Car Today! You are responsible for any repair expenses or storage fees incurred before selling the vehicle to CarBrain. The insurer is required to prepare a thorough estimate of the damages and will be responsible for paying the vehicle’s owner this amount of money. 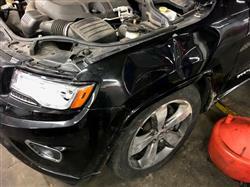 Whether you repair the vehicle is honestly up to you. Once the insurance company determines how much they owe, CarBrain will then pay you the residual value of your damaged car prior to repairs. 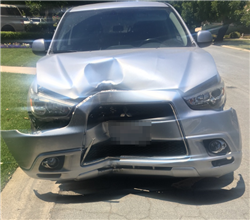 The vehicle owner can receive two payments, one from the insurance company for the damage settlement and a second from CarBrain for the total salvage value of the vehicle. These amounts can then be combined to purchase a brand new vehicle. Repairing the banged up car isn’t always the best option.